My first blog for a while, brought on by the busy month that is May which is always fringe oriented. I wanted to write on the virtues of social media and how it can be used for photography and more importantly to make meaningful connections. Having just recently set up an iPad for my business, primarily for quick editing and speed of posting, it seems that we're confronted with a plethora of apps, plugins, cross referencing applications which lead to.......good point?! Why install these apps and link to them. For me the natural reason for connecting on social media is to build relationships with clients and suppliers and to demonstrate my product. Unlike standard picture posting, the last thing a photographer would want is to release their product with copyright or model release. After all, it's often the product of hours of research, post edit and of course skill. The danger of these apps is that they are so inextricably linked behind the scenes with companies such as yahoo owning Flickr and Facebook owning Instagram that unwittingly when you upload to one, you upload to all, such is the "helpful" interaction of the apps and more recently the cloud. I found this out when my edits in progress were automatically uploaded to Flickr by the ever helpful photstream. I also noticed that after installing the iPad and taking recommendations that I had 6 photo editing apps and almost every other app capable of uploading a picture had their own as well. As a result, I'm deleting them aside from Lightroom mobile and Tadaa for quick editing on the move. Technology is wonderful but what does it actually give us? Well it gave me the opportunity to remove 5 of these and bring the problem to a head. For me, the fringe is a perfect example. The opportunity to connect and meet new people. A shoot on Saturday at a performance of the fringe and posted to Instagram and properly tagged has put me in touch with the performer and a community of similar performers. The photos loaded into Twitter have put me in touch with the venue for future gigs, but the most important element is that it's allowed me to share my product with event organisers and media. 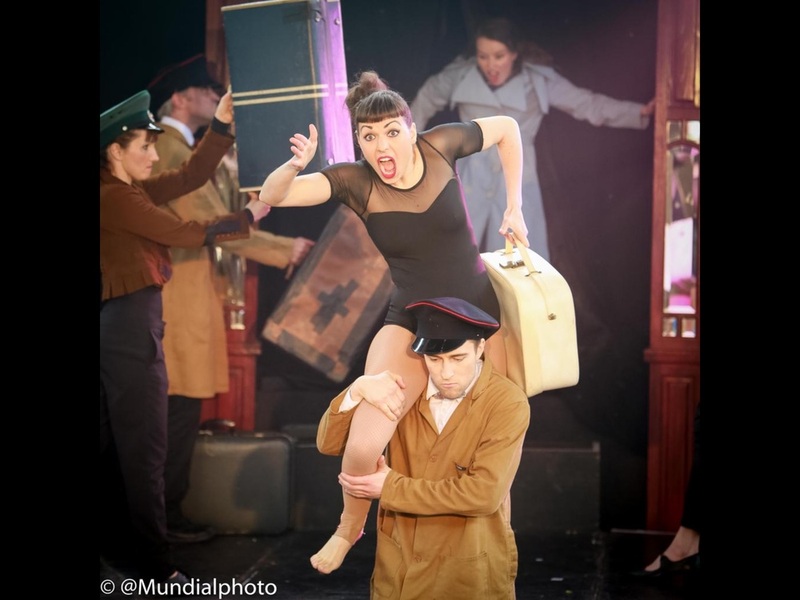 The images by the way are taken from the lost in transit show from the Brighton fringe performed at the spiegeltent. It's an excellent demonstration of how we used social media to connect with performers and for them to see and share their own performances.